“Working memory is something we use every day, so it makes our lives a lot easier when it’s stronger. While for most adults the maximum we can hold in our working memory is about seven items, if you’re not quite using your working memory to its maximum capacity meditation can strengthen it“. I could overwhelm you with statistics showing how improving your memory will positively impact your professional and personal life… but what’s the point? Who doesn’t want to remember more? Here are six ways you can improve your memory from Belle Beth Cooper, content crafter at Buffer, the social media management tool that lets you schedule, automate, and analyze social-media updates. Step 1. Create a memory. Our brain sends signals in a particular pattern associated with the event we’re experiencing and creates connections between our neurons, called synapses. Step 2. Consolidate that memory. Do nothing else and that memory could soon fade away. Consolidation is the process of committing something to long-term memory so we can recall it later. Much of this process happens while we’re sleeping as our brains recreate that same pattern of brain activity and strengthen the synapses created earlier. 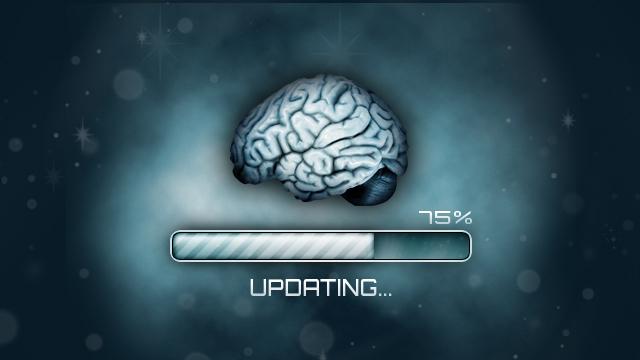 Working memory, which is a little like your brain’s notepad, is where new information is temporarily held. When you learn someone’s name or hear an address of a place you’re going to, you hang on to those details in working memory until you’re done with them. If they’re no longer useful you let them go entirely. If they are useful, you commit them to long-term memory where they can be strengthened and recalled later. Working memory is something we use every day, so it makes our lives a lot easier when it’s stronger. While for most adults the maximum we can hold in our working memory is about seven items, if you’re not quite using your working memory to its maximum capacity meditation can strengthen it. Research has shown that participants with no experience in mindfulness meditation can improve their memory recall in just eight weeks. Meditation, with its power to help usconcentrate, has also been shown to improve improve standardized test scores and working memory after just two weeks. Why does meditation benefit memory? It’s somewhat counterintuitive: during meditation your brain stops processing information as actively as it normally would. The researchers in this study focused on the effects of caffeine on memory consolidation: the process of strengthening the memories we’ve created. That is why they believe the effects occurred when caffeine was ingested after the learning task rather than before. So don’t just drink a little coffee to get started in the morning–drink a little coffee to hold on to more of what you learn throughout the day. A long-term berry study that tested the memory of female nurses who were over 70 years old found those who regularly ate at least two servings of strawberries or blueberries each week had a moderate reduction in memory decline. (The effects of strawberries might be debatable, though, since that study was partly funded by the California Strawberry Commission… and another study focusing on strawberries suggested that you’d need to eat roughly 10 pounds of strawberries per day to see any effect). And even if it turns out they don’t help your memory much, berries are still really good for you. Studies in both rat and human brains have shown that regular exercise can improve memory recall. Fitness in older adults has even been proven to slow the decline of memory without the aid of continued regular exercise. In particular, studies shown that regular exercise can improve spatial memory, so exercise may not necessarily be a way to improveall types of memory recall. Of course the benefits of exercise are numerous, but for the brain in particular regular exercise is shown to improve cognitive abilities besides memory. So if you’re looking for a way to stay mentally sharp, taking a walk could be the answer. Another easy method that could improve your memory is to chew gum while you learn something new. Contradictory research exists so it’s not a solid bet, but one study published last year showed that participants who completed a memory recall task were more accurate and had higher reaction times if they chewed gum during the study. Sleep is proven to be one of the most important elements in having a good memory. Since sleep is when most of our memory consolidation process occurs it makes sense that without enough sleep we will struggle to remember things we’ve learned. Now you don’t need an excuse to nap–or to get a little more sleep. ← Marketing: What Are You Best At?